This appears to be a handwritten letter to a Miss Berry discussing a $135 dollar check not from her individually but from all her children for the Mary T. Case scholarship. Towards the end it discusses a serious illness. 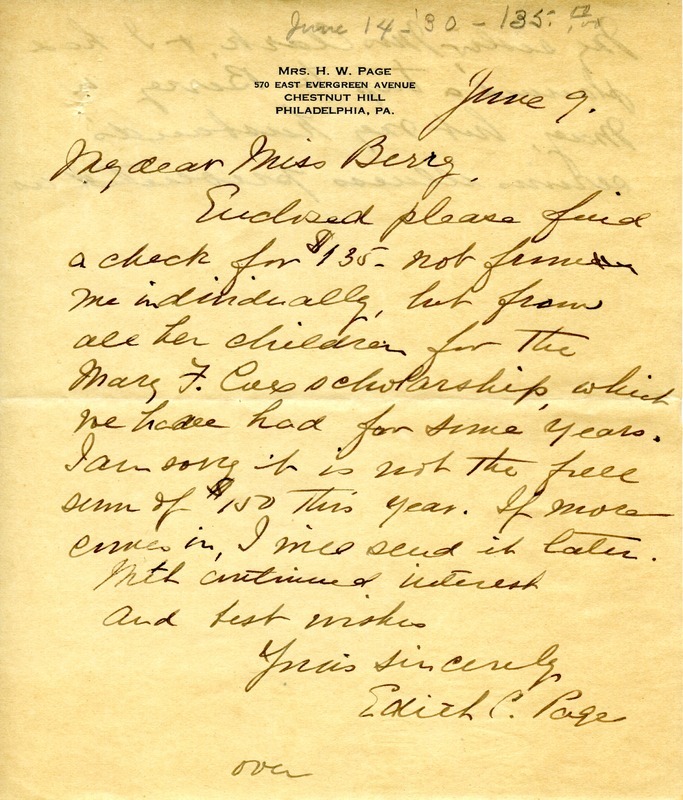 Edith C Page, “Letter to Miss Berry from Edith C. Page.” Martha Berry Digital Archive. Eds. Schlitz, Stephanie A., Dawn Grabowski, Chelsea Risley, et al. 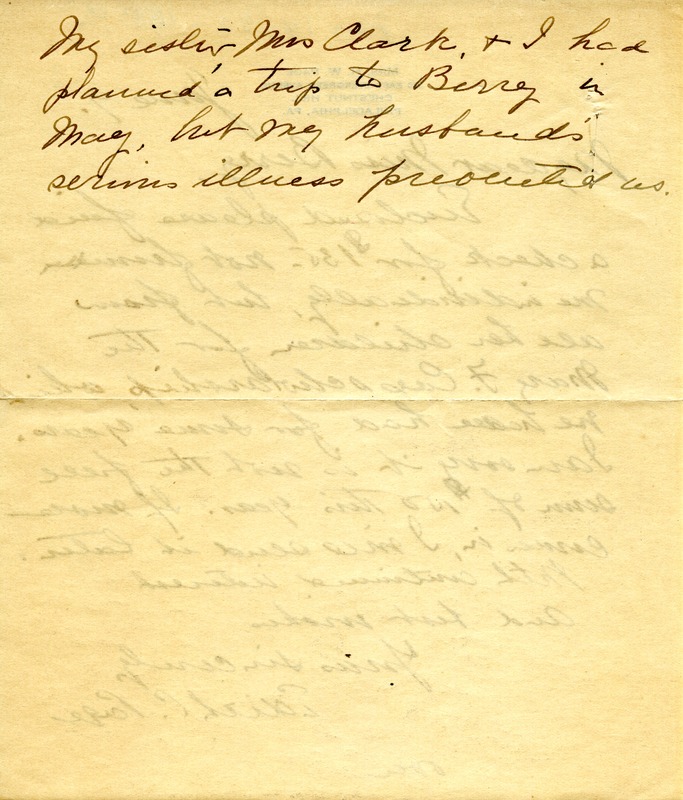 Mount Berry: Berry College, 2014. accessed April 26, 2019, https://mbda.berry.edu/items/show/13640.